One of the most interesting things to do in El Fuerte, Mexico is to visit the small indigenous community of Los Capomos, located about a 20-minute drive outside of the city. Los Capomos existed when the first Europeans arrived in the area and its name is derived from a tree called Capomo. In the village, all the adults and about half the children are multilingual, speaking Spanish as well as their own Mayo dialect, the language of all the Indian groups from the Cahita nation. Mayo Indians are dissimilar to other indigenous groups in that they are introverted, more mystical, and more pure in essence. The tribal groups of Los Capomos are the most pure in the region; 50 years ago it was 100% pure, but now it is about 70% pure. Raising domestic farm animals provides the food base for the village – beef, milk, goat, chicken, eggs, pork, lard, corn and flour tortillas, chili, and onions are the staples of their diet. A few families have primitive ovens for baking bread. Tribal members typically dress in jeans, sandals, and a straw hat, except during festival times, when they revert to traditional coarse white cotton garments secured with black woven belts. 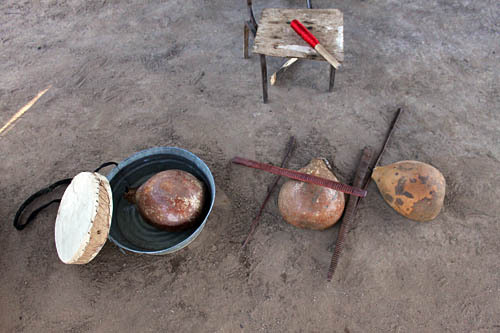 In addition to preserving their bloodline, the Mayo have preserved native dance traditions which include performing the Danza del Venado (Deer Dance), Danza del Judios (Dance of the Jews/Trumpeters), and Danza de Pascuas (Easter Dance) during sacred holidays. In essence, the dances are similar to those performed in ancient times, although as the Jesuit missionaries converted the Mayo from animistic beliefs to Catholicism, their tribal dances gradually began to incorporate religious symbolism. 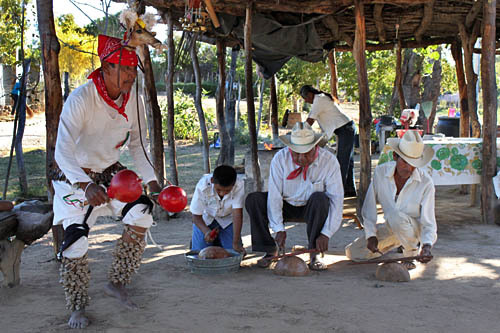 With prior arrangement, 70-year old tribal elder Jose Luis, who is currently being featured by the Mexican Tourism Board in a commercial promoting Mexico as a tourist destination, performs all three of these ancient dances for tour groups. On the eastern side of Mexico’s Baja Peninsula, near the southern tip, the small town of La Paz occupies the bottom of a fishhook shaped bay that juts into the Sea of Cortez. While the town has much to offer in the form of typical Mexican culture and extremely friendly people, it is the waters surrounding La Paz that truly astound. Off the tip of the fishhook, about an hour’s boat ride north of La Paz, lie the sister islands of Isla Espiritu Santo and Isla Parfida, both of which have been designated protected nature preserves. The only type of structures allowed are temporary encampments of fishermen who arrive in small launches and fish for a few days. 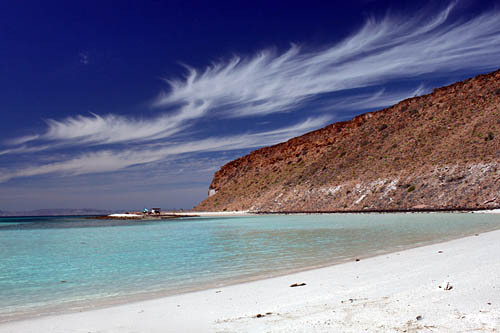 However, camping by permit is allowed, and Espiritu Santo Island is the perfect place to get away from it all. Dozens of secluded coves dot the island, offering white sand beaches and water so turquoise that it seems unreal. Though the view is spectacular from the beach, it is even better from the mountain top, accessed by myriad tails that cris-cross the island. The surrounding seas teem with wildlife. Colorful tropical fish munch on coral reefs within easy swimming distance from shore. In deeper waters, young sea lions are so friendly they come right up to your snorkel mask and sometimes grasp your hand in their mouths, as if inviting you to come and play. There are deep water reefs too, which are patrolled by mature sea lions and sharks. 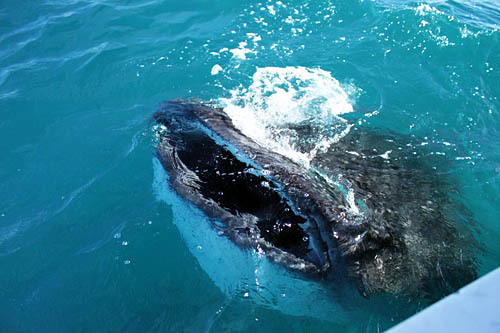 One species, the enormous whale shark is easily spotted in the warmer waters of La Paz Bay. Unlike their scary relatives, these sharks eat only plankton and krill. They swim straight up from the depths with their mouths wide open, scooping up sea water and straining it through their gills to capture food. These gentle giants allow snorkelers and divers to swim alongside and even tolerate being touched as they feed. While there are numerous tour operators in La Paz from which to choose, I spent the day with Carey Dive Center and was very pleased with the quality of the tour. The $85 price included two dives, lunch on one of the island’s exquisite beaches, a stop to see a sea lion community sunning on the rocks, a pass by Balendra Beach on the mainland to see an unusual rock formation, and swimming with the whale sharks. The tour can be modified to include snorkelers as well and I highly recommend it. The owners were well versed on the natural environment and history of the area, and were also excellent dive masters, providing pre-dive briefings and following accepted safety practices. Boston‘s historic Symphony Hall is located in the Back Bay area, a few blocks away from the Prudential Center, the Sheraton Hotel and the reflecting pool at the Christian Science Center. The Hall’s acoustics are terrific and the 1900 architecture is beautiful. 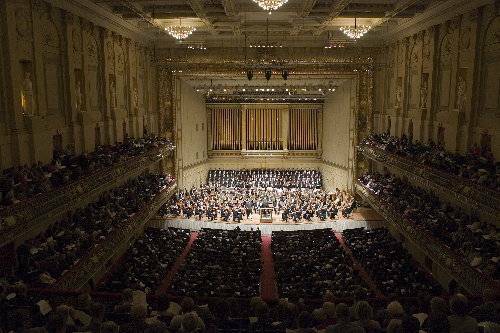 There are many ways to experience Symphony Hall and whether you are a visitor to the area or live nearby, you should find time to take advantage of this jewel in the city. Visit Symphony Hall’s website to view the event schedule, get directions, purchase tickets and learn more about their history. It may not be the actual end of the world, but when you are drifting on a small boat off the tip of Cabo San Lucas, Mexico, gazing through the famous arch in the rocky spires that soar out of the ocean, it sure feels like it. 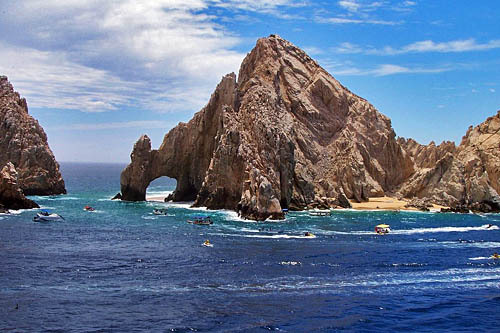 Along with whale watching and marlin fishing, seeing the rock window at appropriately named Land’s End is one of the must do activities in Cabo, and it’s very simple to arrange a visit. Just wander down to Darsena Marina in downtown Cabo and negotiate your best deal with one of the scores of tour operators that litter the docks. My favorite is a glass bottom boat tour, which allows you to see the abundant fish on the reef as it motors to both sides of the arch, glides among a colony of sea lions that drape themselves over the rocks to sun, and passes by Lover’s Beach, located just behind the arch and accessible only by boat. Pick the right tour operator and you can arrange to be dropped off at Lover’s Beach for a few hours, arranging for him to retrieve you at whatever time you specify. 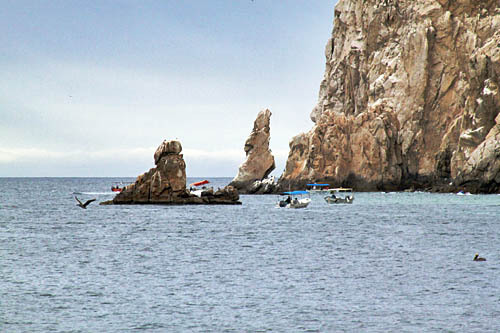 In addition to the glass bottom boats, tours can be done by water taxi, kayak, sailboat, submarine, and the more adventurous can even climb the rocks from Playa Solmar, although it is said to be dangerous and not recommended. Cabo may be more about partying these days, but be sure step away from the party scene long enough to visit Land’s End and enjoy the natural beauty that is still abundant in this tourist mecca. I noticed the TSS Earnslaw one evening when it sailed up to the dock in downtown Queenstown, New Zealand and disgorged passengers after a day of cruising Lake Wakatipu. The vintage steamship was certainly unique, but what really captured my attention were the pirates on the dock, complete with three-corner hats, eye patches, and period outfits. They rattled saber swords at the passengers, threatening to make them walk the plank and other such pirate mischief. I never did find out if the pseudo-pirates were part of the tour or just locals having a bit of fun (they did seem a bit tipsy), but their presence make me stop and take a long look at this unique ship. From the moment it was launched in 1912, the TSS Earnslaw carried goods, sheep, cattle, and passengers between Queenstown at the northern end of the lake, Kingston at the southern, and the dozens of ranches and high country farms scattered around its remote shores. With few roads in the area, the ship quickly became a lifeline, earning it the nickname Lady of the Lake. In 1968 the steamer made its last commercial voyage and was scheduled to be scrapped until a tour company, Real Journeys, rescued her. Following a complete restoration in 1984, the Lady of the Lake was put back into service carrying tourists across Lake Wakatipu to the Walter Peak High Country Farm, where passengers enjoy a barbeque lunch, tour the farm’s gardens and livestock, take a horseback ride, and, in season, can even witness a sheep shearing. During the 1.5 hour cruise, passengers are treated to views of Walter Peak, Cecil Peak and the Remarkable Mountain Range as well as panoramic views around Lake Wakatipu. Those who can tear themselves away from the stunning scenery are also invited into the ship’s engine room to view the workings of the steam engine and stokers (workers who shovel the coal). Believed to be the last remaining coal-fired passenger-carrying vessel still operating in the southern hemisphere,the TSS Earnslaw has carried many famoous passengers, including Queen Elizabeth and Prince Phillip, as well as the King and Queen of Belgium and the Prince of Thailand. With the stately Lady’s 100th birthday approaching on October 18, 2012, plans are underway to celebrate in a big way, especially since the birthday coincides with Queenstown’s 150th anniversary. A full week of events are planned. Cruises depart throughout the day and are priced at $48 NZ for adults and $20 NZ for children (U.S. $33.50 and $14, respectively, at the time of writing).